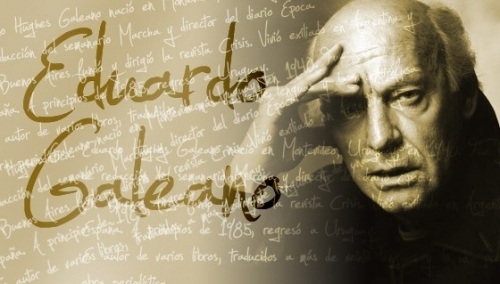 Almost two weeks ago, Eduardo Galeano, a giant of Latin American letters, died. Or to give him his full name, Eduardo Germán Hughes Galeano, thanks to a Welsh great-grandfather. This remembering led to his imprisonment after the Uruguayan coup. On release he went to Argentina. When the dictators took over there, he fled to Spain. 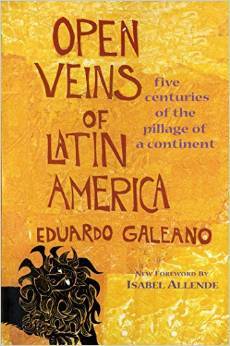 Amongst his many works, the best known are Open Veins of Latin America (subtitled “Five Centuries of the Pillage of a Continent”), written in 1971, and the Memory of Fire trilogy, written in the 1980s in exile in Spain. 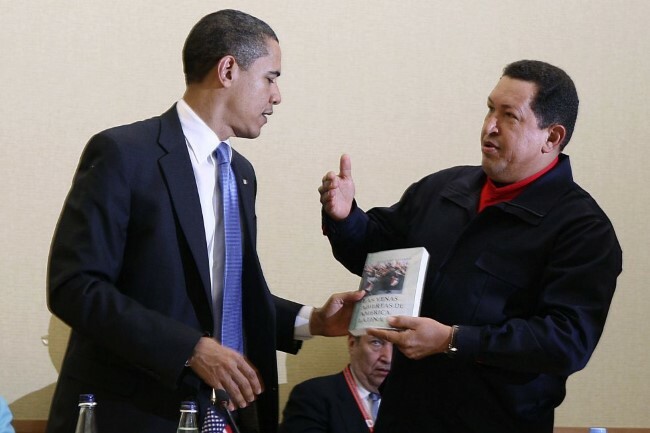 Another Latin American President Venezuela’s Hugo Chavez, introduced Galeano to a new international audience when he presented a copy of Open Veins of Latin America to Barack Obama. His influence on a new generation, and his impact on the continent, are described in an extended tribute on Democracy Now! (see here). Galeano was a constant supporter of the Nicaraguan revolution during the 1980s, though he was less enthusiastic about the Sandinistas when they returned to power in 2007. He remained committed to a utopia which he regarded was essential to strive for, which distanced him from the more gradualist approach of many of the Left in Latin America today. For most ‘indy’ directors, their audiences can usually be counted amongst those fortunate enough to travel the world attending film festivals – other film directors, critics, and the local population of wherever the circus has moved on to – Berlin, Buenos Aires, Cannes, Sundance, Toronto etc. But for La Yuma, Florence Jaugey’s first full length feature, things were a bit different. After hearing the buzz about it, and visiting Nicaragua not long after its release, I walked into a bookshop which stocked DVDs, hoping to pick up a copy. I was then treated to a 15 minute lecture by the shop assistant, praising the virtues of the first feature film to be made in Nicaragua for two decades. Jaugey isn’t Nicaraguan. Originally a French actress, she moved to Nicaragua after appearing in El Señor Presidente, shot in the country in 1984. Five years later she established Camila Films with her partner, Frank Pineda. Camila Films, and the work of both Jaugey and Pineda, have now been central to Nicaraguan film making for over three decades. In February we had the chance to interview Florence, at her home in Managua. You spent many years making documentaries, but made the switch to feature films in 2009 with La Yuma. What were the reasons for this? I come from feature films. I was an actress, and my first films were short features. The difference is features are the re-constitution of reality, whilst documentary is filming the reality. I’m very concerned with social issues. The job of the film maker is to reflect our vision of the world where we live. Then of course there is the practical reasons, that documentary is a lot cheaper than making features. Your first feature length film, La Yuma, was very well received. It took me ten years to make La Yuma. I thought that after winning a Silver Bear in Berlin (for her 1998 short Cinema Alcázar in the Berlinale) I would have a lot more opportunities, but nothing happened. I wrote the script, and tried to find the funding, but failed. But I had to film. I wanted to make films (Florence made a string of documentaries during the early 2000s, including La Isla de los Niños Perdidos, Historia de Rosa and Managua, Nicaragua is beautiful town). Finally I re-wrote the script, and began to find the money. It took six weeks to shoot, and then another year as I scrambled to find the money for post production. 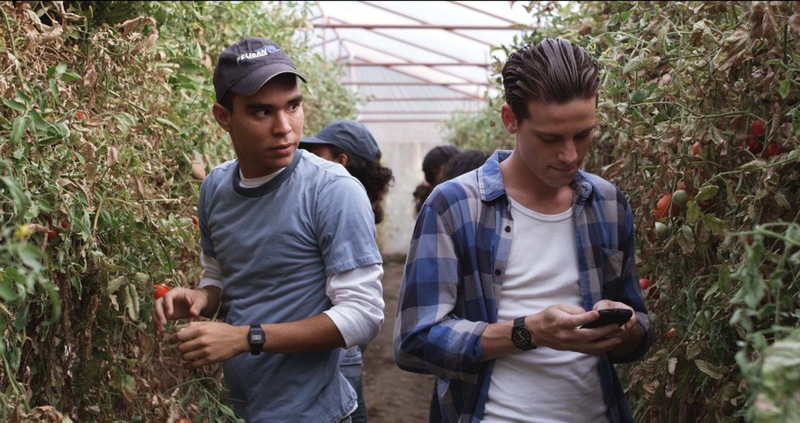 (La Yuma went on to gather a best foreign film Oscar nomination in 2009). La Yuma is still alive. For example, it’s still shown in the UK, in universities, in colleges. Next week I am doing a Q&A on skype with the United States, and I do one of these a month. It’s a film with a long life, and I’m very happy with it. How did you finance your latest film? With my new film, La Pantalla Desnuda (Naked Screen), it was easier. La Yuma helped me a lot. It wasn’t a commercial success, but it was well received. It opened a lot of doors to find money. Also crowd funding has be come available, which didn’t exist when I was making La Yuma. The film also received sponsorship from firms and brands, which all added up to the $500,000 budget. La Pantalla has been shown in the Santa Barbara Film Festival, and travelled to Panama, Austria, back to the US in Chicago, and is currently at the film market in Berlin, looking for international buyers. We also have distributors for it in Germany, Switzerland and the Benelux countries. And the reaction at home? People have been raised on telenovelas and Hollywood blockbusters. I don’t do happy endings. They say they like the film, but “Oh My God, the ending….”! Camila Films can look like Nicaragua’s film industry. Besides your own films you’ve provided facilities for foreign film-makers in Nicaragua, and Frank has also worked as Director of Photography for other directors….. There are other companies. A new generation of film makers is emerging with good projects and features. Maybe in ten years time we will be able to speak of a Nicaraguan film industry. The reality is you have to do everything. With our own films we shoot and edit the film, but also do the publicity and the distribution. But to survive, you have to work on other people’s projects as well. We make documentaries for NGOs, we shoot for the BBC, we don’t have a lot of time for our own projects. I want to sit down and write. Frank worked as second camera on Ken Loach’s Carla’s Song. We are currently preparing to help with the film for the BBC Simon Reeve documentary (recently screened on BBC2). I hope the film industry here will grow. We have plenty of locations. Six months of the year without rain. Two oceans. It’s easy to work here, and the government is interested in attracting film-makers. At the moment there are no tax incentives for films, but we are lobbying them to change this. Do you feel part of a wider Latin American film movement? The film-makers in Latin America all know each other. There is solidarity between Central American film makers. We are so small that we need each other. Camila Films employs technicians from El Salvador, Honduras, Costa Rica. One weakness is there is no Central American film school. There are plenty of workshops, but I’m no fan. They are useful for people who have three years experience. The nearest school is in Cuba, and most of our crew have been students there. We’re all very excited because a Guatemalan film has been chosen in competition in the Berlinale (Ixcanul by Javro Bustamente won a Silver Bear, days after the interview). In Wales we have a strong tradition of literature and music. The story of Welsh painting has only recently been told, but our film heritage has been downplayed. Is this the same in Nicaragua? There is a huge tradition of great painters and poets in Nicaragua, which coupled with music is the traditional expression of culture. But film is 120 years old. During the Revolution INCINE, the Instituto Nicaragüense de Cine, was important (Frank Pineda was a founder member, making dozens of short documentaries about the revolution). It was a time before the internet, and a way of showing to the outside world what was happening in Nicaragua – everybody wanted to film, and be Nicaraguans! Trade unions continue to support international struggles – we have written several times about the links between UNISON and UNE in Nicaragua. UNITE also has a long track record of support for international causes. But til the end of the 70s, trade unions were ready (before anti-union laws which are still on the books today) to take direct action to support causes. One of the best examples is the Rolls Royce workers in East Kilbride. The union refused to service some of the engines for the Chilean Air Force’s Hawker Hunter jets. Now some of the leaders have received awards from the present Chilean government for their support. Today not many know the story. But a film maker, with Chilean roots, is trying to raise money to tell the story in film – ¡Nae Pasaran! You can contribute by giving to the Kickstarter appeal – see here. In Wales support continues through El Sueño Existe, which remembers Victor Jara. Recently a Court in the United States accepted a case on Victor Jara’s murder. Pedro Pablo Barrientos Núñez, who is now a US citizen living in Florida, is accused of torturing and murdering Jara. Two year’s ago Victor was commemorated in a film, made by the animator Louise Emily Thomas, with the music of The Melodic. 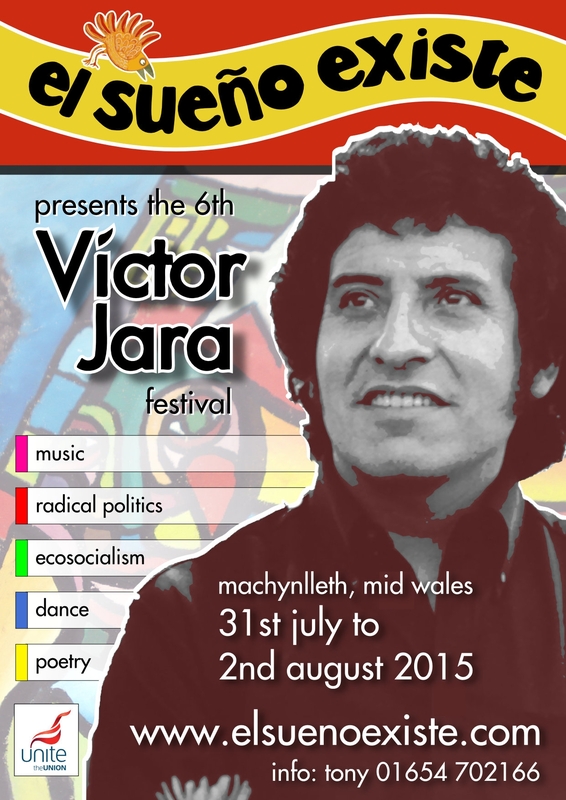 The Victor Jara festival is coming up again, at the end of July. The Campaign has been co-operating with the organisers, El Sueño Existe, to invite Nicaragua’s Ambassador, Guisell Morales Echaverry, to speak during the festival. Mae undebau yn parhau i gefnogi brwydrau rhyngwladol – rydym wedi ysgrifennu sawl gwaith am y cysylltiadau rhwng UNISON a UNE yn Nicaragua. Mae gan UNITE hefyd hanes o gefnogaeth parhaol i achosion rhyngwladol. Ond tan ddiwedd y 70au, roedd undebau llafur yn barod (cyn deddfau gwrth-undeb sydd dal i fodoli heddiw) i weithredu yn uniongyrchol i gefnogi achosion. Un o’r enghrefftiau gorau o hyn oedd gweithwyr Rolls Royce yn East Kilbride. Gwrthododd yr undeb wasanaethau rhai o beiriannau awyrennau Hawker Hunter Awyrlu Chile. Rwan mae y rhain wedi derbyn gwobrau gan Lywodraeth bresennol Chile am eu cefnogaeth. Does dim llawer yn gwybod am y stori erbyn hyn. Ond mae gwneuthwr ffilm, gyda’i wreiddiau yn Chile, yn ceisio codi arian i ddweud yr hanes mewn ffilm – ¡Nae Pasaran! Gallwch gyfrannu at yr ymdrech drwy roi i’w apêl Kickstarter – gweler fan hyn. Yng Nghymru mae’r gefnogaeth yn parhau trwy El Sueño Existe, sy’n cofio Victor Jara. Yn diweddar mae Llys yn yr Unol Daliethau wedi derbyn achos am lofruddiaeth Victor Jara. Mae Pedro Pablo Barrientos Núñez, sy’n ddinesydd yr UDA erbyn hyn, ac sy’n byw yn Florida, wedi cael ei gyhuddo o arteithio a lladd Jara. Ddwy flynedd yn ôl gwnaeth animeiddiwraig Louise Emily Thomas ffilm fer am Victor Jara, gyda cherddoriaeth The Melodic. Mae Gwyl Victor Jara ar y gweill unwaith eto, ar ddiwedd mis Gorffennaf. Mae’r Ymgyrch wedi bod yn cyd-weithio gyda’r trefnwyr, El Sueño Existe, i wahodd Llysgenhad Nicaragua, Guisell Morales Echaverry, i siarad yn yr wyl.